A Phenomenal Evening to Remember! 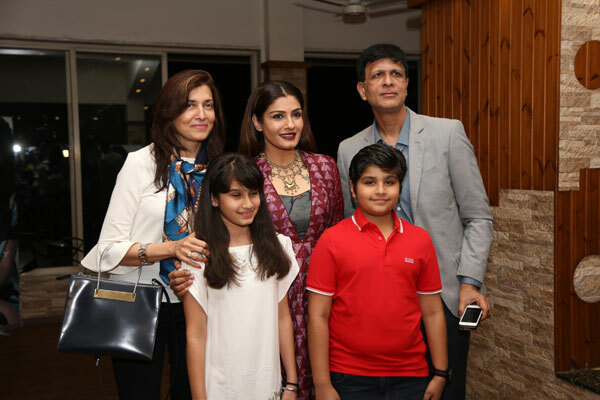 We organise an annual fund raiser every year...thanks to the initiative taken by one of our trustees, Dr. Sangeeta Vengsarkar Shah and her family; husband Dr. Nimish Shah and son Ahan and ably supported by Kayoze Irani, son of Boman Irani. This year, we experienced magic on the 7th of February...!! Taufiq Qureshi Indian classical musician and percussionist, with a passion for fusion music and a Grammy award winner, along with his band 'Surya the new sun' were just amazing with their music! passionate, pulsating and full of life, the music took us through the world of sound with all its intricate nuances; and reminded us again that there was music in every sound of life if one pauses to hear! Not to be left far behind, was the amazing love for animals and laughter and light moments shared by two stalwarts of the entertainment world; Cyrus Broacha and Boman Irani our strong supporters for quite a few years. Both of them shared how their love for dogs made them more compassionate human beings and how it all started in their lives. Boman Irani also sang 3 songs in his rich baritone, so engrossing and awesome was he that we were up and clapping and singing along with him...he brought the house down with his passion and joy for the songs he was singing! 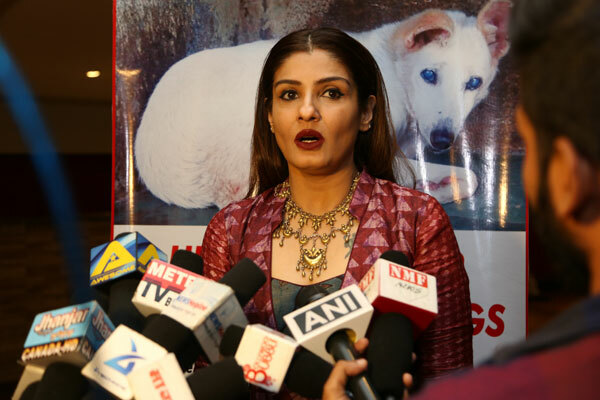 We were also inspired by our brand ambassador Raveena Tandon who spoke with passion about how it is our duty to make the world a better place for animals. 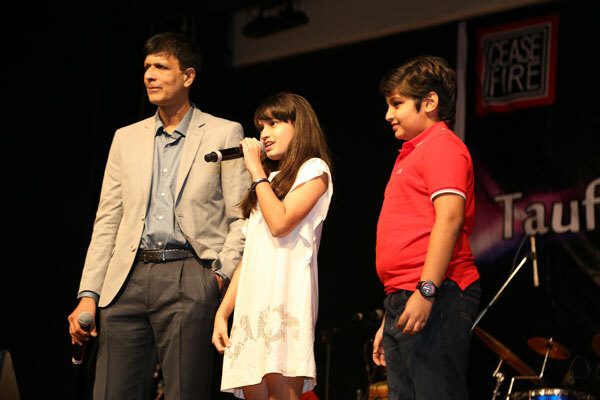 This was followed by an introduction to her two lovely children; daughter Rasha and son Ranbirvardhan who are the ambassadors for our Compassionate Children's' Club (CCC) and shared about their efforts to raise funds for us. Rasha spoke on behalf of both of them and it was so touching...we felt hopeful about the world for animals in the future! Another child who enthralled us with her compassion was 10 year old Maya, daughter of Cyrus who had written a lovely piece about how and why one should care for animals! Two teenage school girls; Aditi and Tanushree were also introduced to the audience for their efforts to raise funds for us inspite of the pressures of school work. And of course at the end of the programme, all the trustees of In Defense of Animals, India were introduced to the audience and their contribution of setting up the organisation and nurturing it was much appreciated. All these elements of this well organised programme were well anchored and knitted together as a whole, due to senior doctor and seasoned anchor Dr. Nimish Shah and the brief introduction to IDA given by our trustee Ms. Fizzah Shah. All in all, a magical evening, a true stress buster and raised funds for us in the bargain!